Do you use github-wide? Leave a review! Well, we just shipped split diffshell yeah!and now only part of the site is fluid. This makes it all fluid with just a bunch of CSS. I work at GitHub. This repo comes with absolutely no promise of an official full-width interface GitHub. No such project is under way, and as you'll find with this userstyle, it's not as simple as just adding more CSS. That said, enjoy! 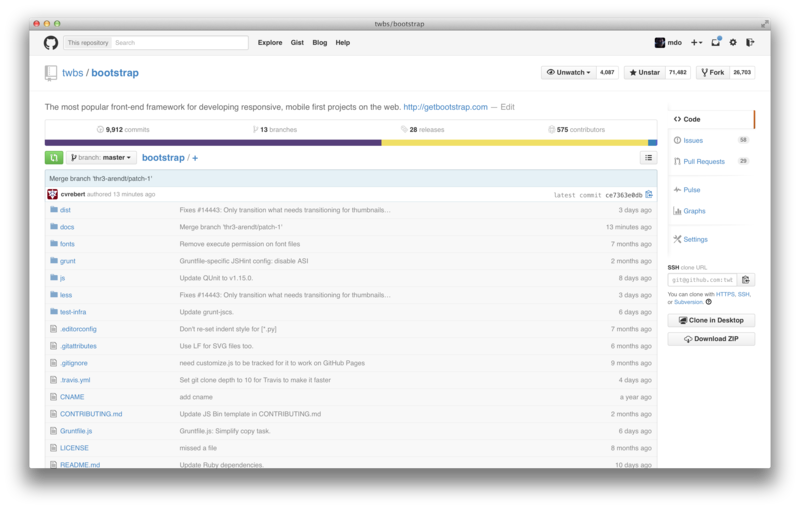 Then, copy-pasta the styles from github-wide.css into a new userstyle. Be sure to specify that it apply to sites beginning with https://github.com/*. In addition, you can apply styles from gist-wide.css to sites beginning with https://gist.github.com/*. Licensed under MIT and copyright @mdo. Keep up with changes to github-wide! Would you tell us more about github-wide?